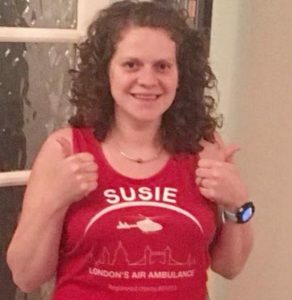 With just a few days to go until the London Marathon 2018 I should be getting nervous…and I am…well more exciting, and not because I am running it this year (You can read why here), no I am excited because this year I have a bigger team than ever from my wonderful community running it….and we will be at Mile 10 with sweets, fizz and hugs to support them…alongside the thousands of other runners. 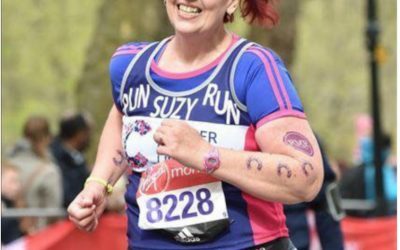 Running a marathon is tough for anybody…but for these women in these bodies, or bodies which have been transformed by sport, it can be even more of a challenge, and even putting yourself out there for fundraising and appearing on a blog like this can be the most frightening of things. These women are warriors and they show what amazing things we can do when we set our mind to it. 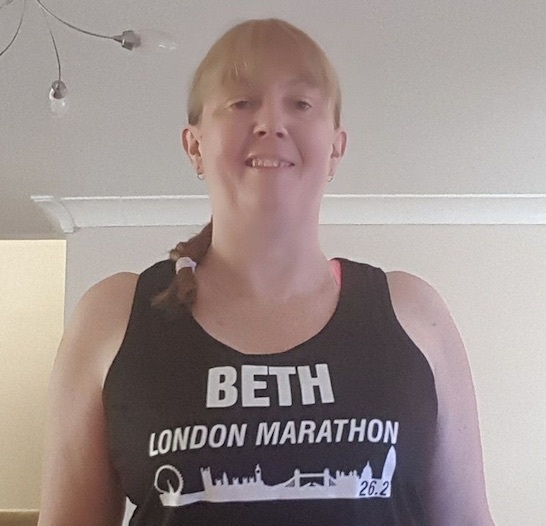 So in no particular order, and based on the info I have at this time (it is a bit like herding cats as the women are all over the country) I present to you my TFTR Virgin Money london marathon team with their vest numbers and expected finish times…. 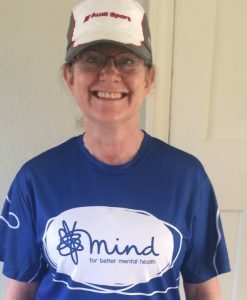 Nikki Anderson (51085 – 7:00 hrs) I’m running the London marathon as a few years ago I was silly and had been ill for a while and decided to still run the vlm 2014. Well I collapsed and it’s plagued me since and I had got another place in 2016 but had to defer as was ill and I knew I had to wait till I was better and health issues were ok. Well fast forward to 2018 and I got another charity place and I’m healthy ish I just carry a calf injury. 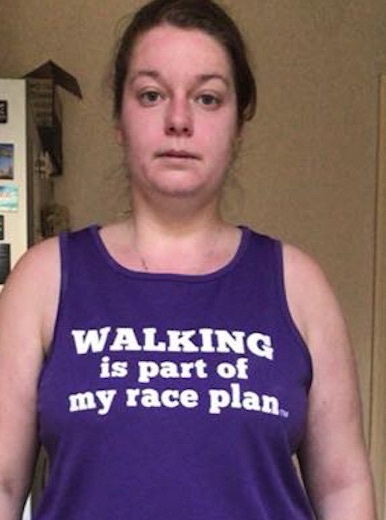 But my true reason for running the vlm is because my daughter has optic coloboma in the left eye and bilateral iris and retina coloboma plus various health issues and she just gets on with it so to be she is my inspiration. I had to walk a half marathon a few weeks back and ppl were saying oh you doing 10k ? No I’m doing the Half Marathon I replied must of had this about 30 times in the end I pretended I couldn’t hear as had my ear phones in my ears. The organisers were fab and over 4 hrs and 15 mins later I done my half marathon. I’m worried about my calf holding out I’ve done all I can now and have foam rolled and deep heated every night nearly. 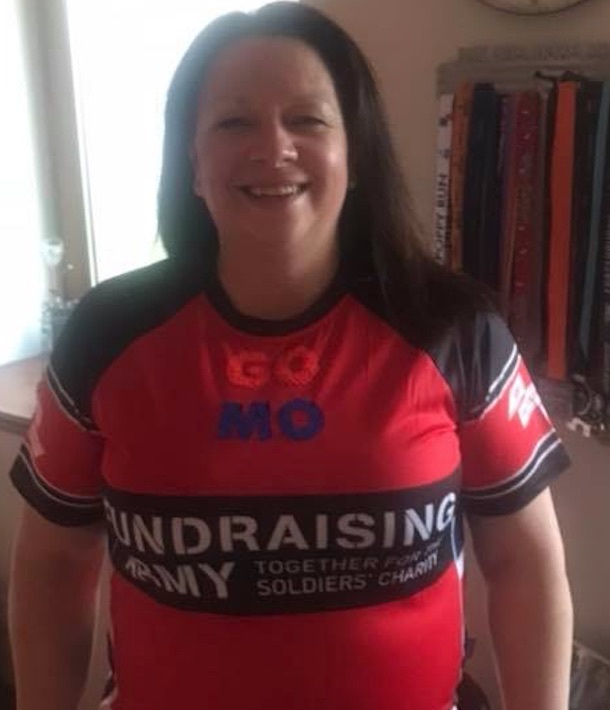 Sports massages so as the day dawns on Sunday 22nd April 2018 I will put my race kit on and I will walk run and possibly crawl around 26.2 miles and I will become the 1% club. 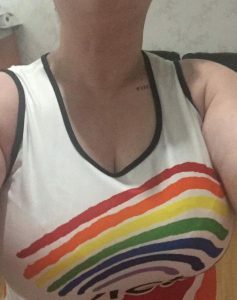 TFTR is a community I can relate to is a mix of various sizes and speeds and their slogan running has no size is so true ppl may not class me as a runner but I certainly am and we embrace and support each other. Kit is weather dependent but will deffo be wearing this Age UK vest over a black t-shirt. 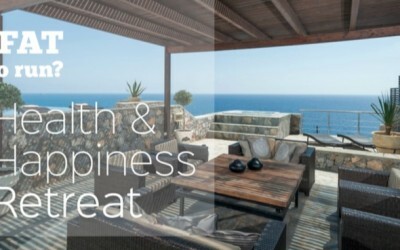 Buff depends on how hot it is on the day. Oh and bright pink trainers! 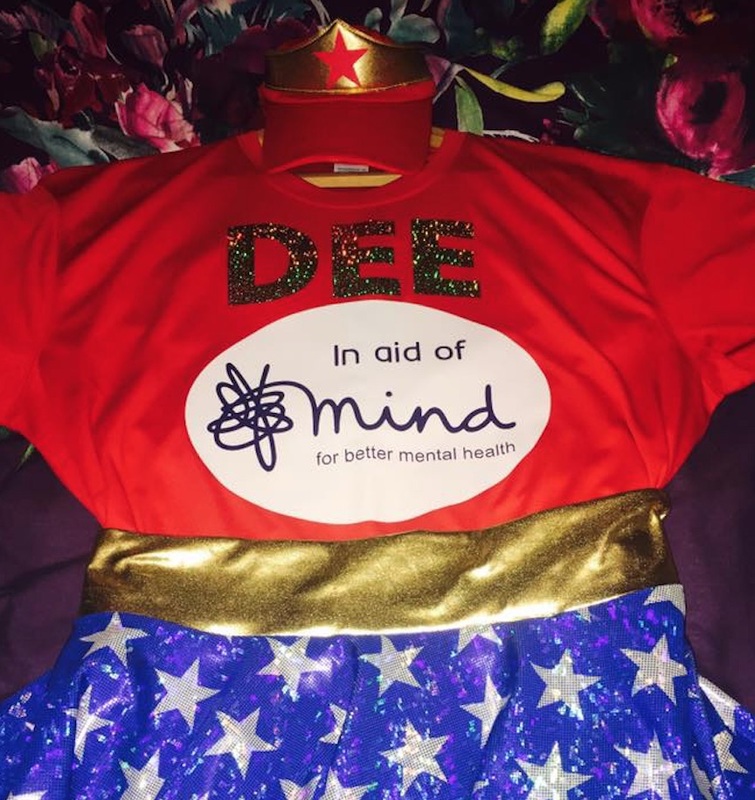 2 – running the London marathon as it’s something I’ve always wanted to do. My dad ran it 4 times and I remember coming up to watch him and being in awe. I should’ve run it in 2016 AND 2017 but had to defer due to injury and illness. I’ve been off work with a virus this week but I refuse to pull out again. It’s 202£ or bust! TFTR has been a great source of inspiration throughout my training. I loved the Hyde park training day, and just knowing there are so many like-minded women out there is such a confidence booster. I like knowing you don’t have to be size 8 and run 8 min/miles to be considered a runner. Running a marathon was on my bucket list and in a moment of madness I entered the ballot ! I’m feeling excited but very nervous too . TFTR has inspired me in my darkest moments when I was unwell and struggling to juggle training with a new job and I got there ! I’m running the marathon to show my daughters that anything is within reach if they work hard enough, and also because I can. I feel privileged that my legs and body are in (reasonable) working order and I intend to use them while I can! That said I’m carrying a few injuries, 7 months out of a C section and still feeding my daughter. 26.2 miles will be a huge challenge but I’m excited about it. TFTR has helped me embrace running as a sport, it’s given me the confidence to run with others & has shown me that it’s ok to be hot, sweaty, tired and to fail sometimes. I will be dressed as RUNder Woman aka Dorinda Moffatt ‘DEE’. 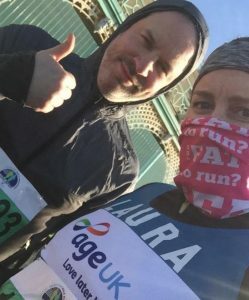 I am dedicating my run in loving memory of my mum and dad for making me the person am I today. Their loss has made me never take life for granted. 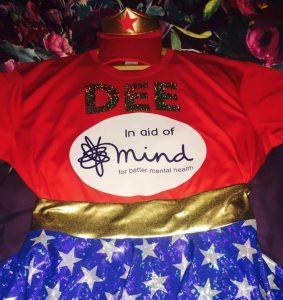 I am running to raise money for Mind the mental health charity. 1:4 people experience mental health problems and running helps me with my mental health and feeling strong. We all have mental health and should not be ashamed of discussing this. I’m feeling a mixture of excitement and pure panic. Normal right!!?? There are some great running forums out there but TFTR has provided me with a safe place where I can be myself and not be judged. 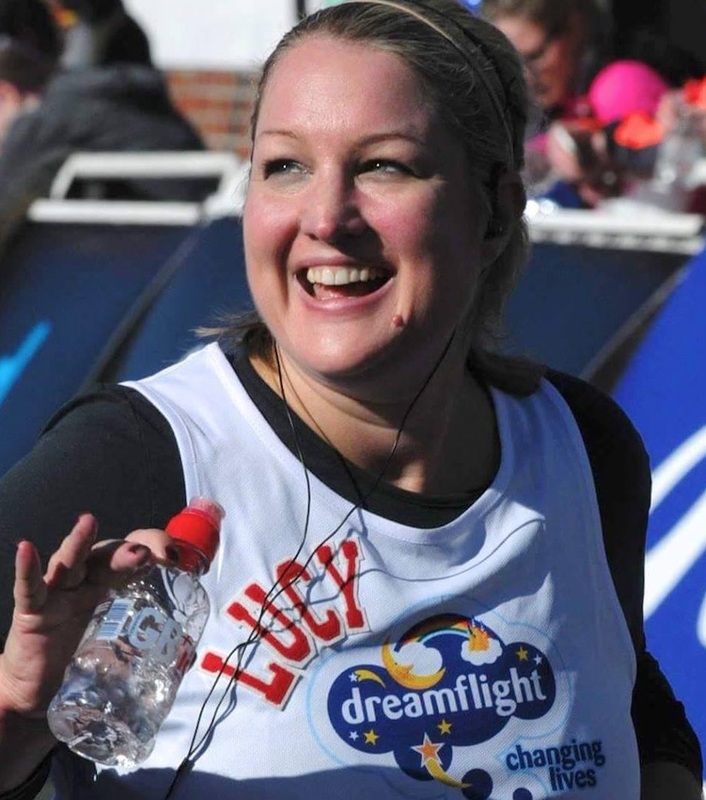 Where the other woman understand what it is like to run in a plus size body. That type of understanding and support is priceless. 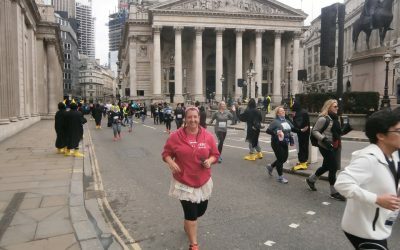 I am running the marathon for me because I’m 50 and I was lucky enough to get a first time ballot place. Only been running for 3 years. 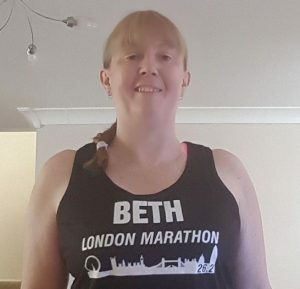 Not sporty but always watched the London Marathon and thought how wonderful it would be to do it. I am nervous and excited in equal measure. 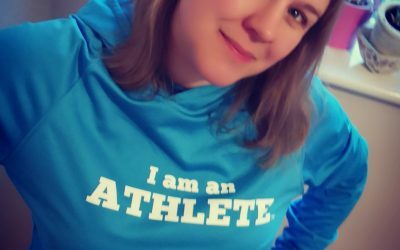 I’ve been following TFTR since I started running and it’s great to find something that I can relate to – especially as the Dr tried to enrol me on a get active course just last month having made assumptions about my activity levels! I thoroughly enjoyed the training day in London and got lots out of it. I hope to finish in around 6.15 hours depending on the heat. Rachael Kerr-(46859 – 6:00 hrs) Running the London marathon has always been a goal of mine even before I started running. I will be running for Save the Rhino – A conservation charity helping to protect and increase rhino numbers in Africa and Asia. I really excited but very nervous about the weather. I’m hoping it’s not too hot!! The TFTR is a brilliant supportive friendly place. It’s helped me with training, motivation and advice. Thank you! Sue Kaliszewska (5700 – 7:00 hrs) Running the London Marathon because Lady Luck clearly has a sense of humour & decided my first ever ballot entry should be rewarded!! I am running for myself to prove I can – never been a runner, turned 50 last week and this is my personal challenge – if I am going to do 1 marathon in my life, why not London? Currently petrified & excited in equal measure. Not got a fund raising page as I got a ballot place & made the decision to run this for me. Finding TFTR has been such a boon on my training journey – so much support and women who understand what running is like when you’re a bit hefty and also who show that runners come in all shapes & sizes. I had been hoping to complete in 6.30, however now I will be happy to finish in a time that gets me a medal (approx 7 hours I think). The TFTR marathon group has been a fantastic support that has been welcoming and friendly with great tips and advice. It’s made me feel that I’m not alone as a runner who is slow and determined and so great and reassuring to meet other like minded lovely ladies. TFTR have kept me motivated to train, the support from the women is like nowhere else, I love our tracking squad. Meet up at races as part of the training ease the nerves. 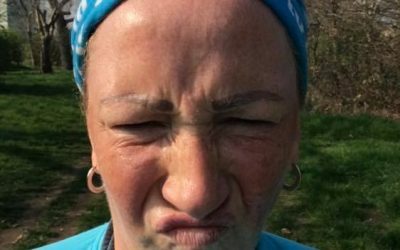 The marathon life lessons that have been shared by our ladies who have run many are gems you can’t find anywhere else! 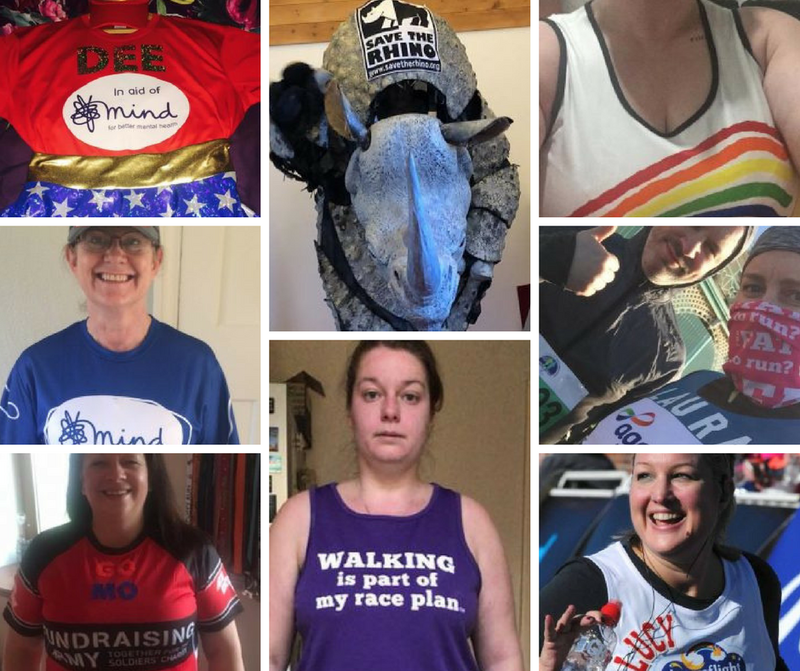 I’m running for Mind. 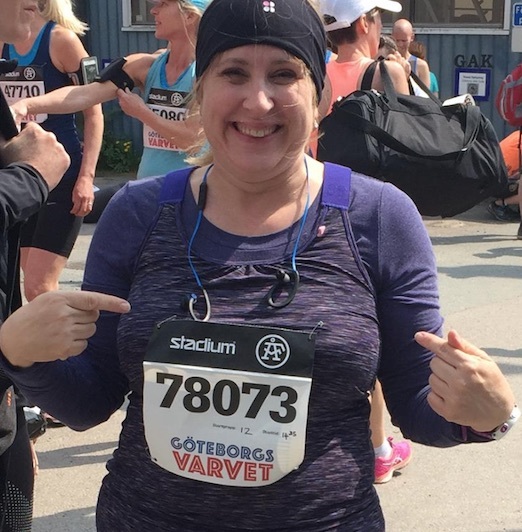 I’m running the marathon because I wanted to see if, at the age of 55 I could! Training has gone OK and, in no small part, that is thanks to the motivation and support from others, including the women in this fab group. The TFTR Dream Board is a great help in identifying your goal and then helps with accountability. Before the winter set in, those early morning accountability runs were a godsend! My mantra: You can do this! If you would like to join us at our mile 10 cheering station, you would be more than welcome to join us. We will have Jelly Babies and Prossecco…but you might need to get there early haha. 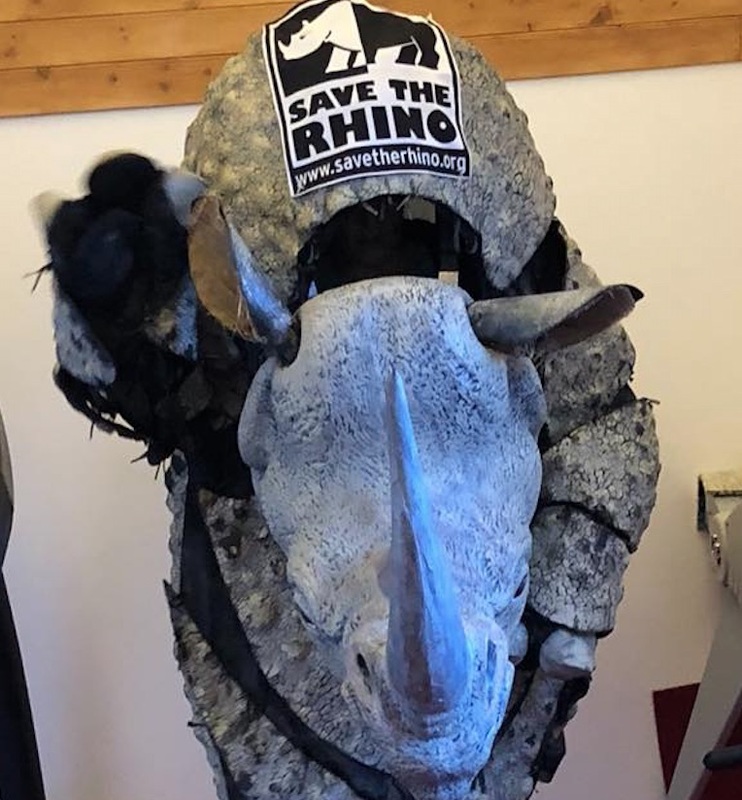 We will be setting up from 8.30am just before the mile 10 marker, on the bridge near Onega Gate (Check out the Facebook Event for more details and to let us know to expect you) I am looking forward to celebrating the running world at its finest.